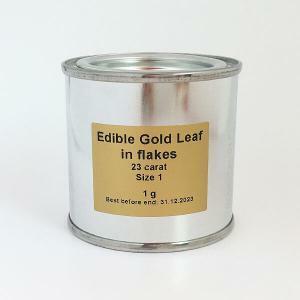 Large 24k edible gold flakes are for your special moments. 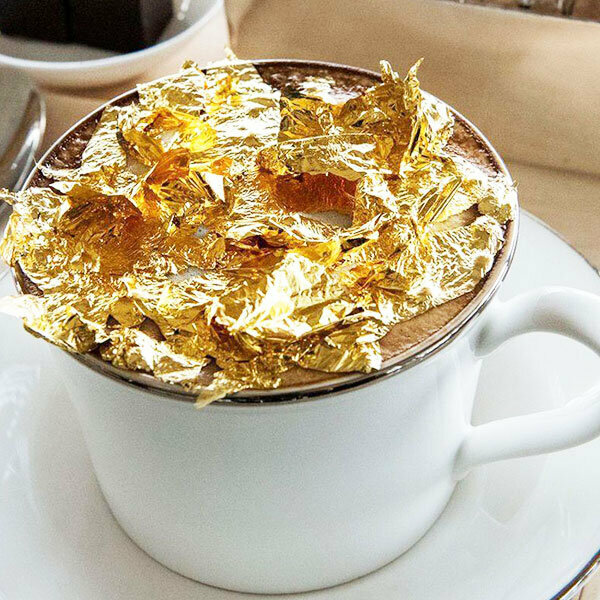 Make a change in your coffee time using this edible 24k gold large flakes, You will never forget the look of your coffee once you top it up with these golden shiny flakes. – Content: enough to top up two flat whites. 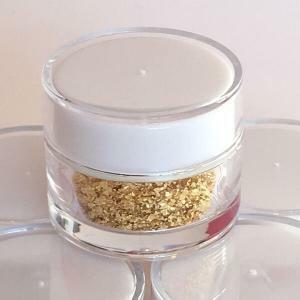 – Available in luxury acrylic white jar. – The flakes are so thin, they will disintegrate in your mouth instantly. – Treat your husband like a prince for once in your life. You can also use them on your cake or on any treat that you want to add a touch of luxury. – Use two tooth picks to pick up the flakes and gently drop over your coffee. – Always avoid touching the gold leafs with your fingers. – Avoid breathing over the leaf as this will cause the leaf to wrinkle or fly away. 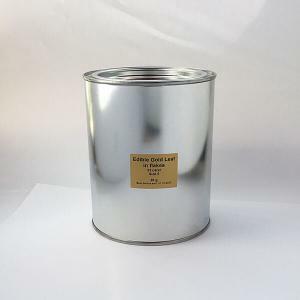 – Use the supplied edible silver leafs within 3 years from date of purchase. 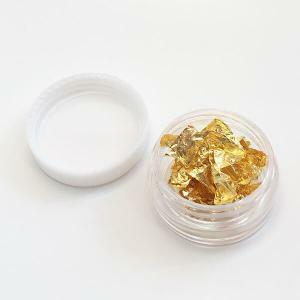 – Ingredient: 100% pure gold. We use thick cardboard to protect your order and to ensure your order arrive in good condition.